Elmina Sharks condemned Hearts of Oak to their first defeat of the Normalisation Committee’s Special Cup with a 1-0 win at the Nduom Sports Stadium on Wednesday. Sharks won the match courtesy a late strike by Felix Addo. The striker took advantage of a goal-mouth scramble to slot home the only goal. 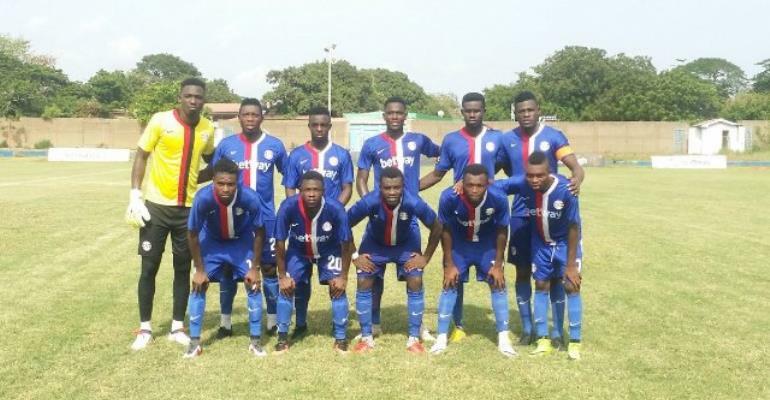 In Dansoman, Liberty Professionals recovered from their Matchday 1 defeat at WAFA, to put four goals past a sluggish Ebusua Dwarfs side at the Carl Reindorf Park. The goals came from Addo Rou (brace), Kwabena Addae and Benjamin Eshun. Yahaya Mohammed and Abdulrahman Fatawu scored as Aduana Stars earned a 2-1 win over Techiman Eleven Wonders in Dormaa. WAFA could not build on their opening day win over Liberty as they were held in Sokape by Inter Allies. Kingsford Opoku's first-half goal was cancelled out Effiong Nsungusi Jnr in the 60th minute. Dreams FC were held to a 1-1 draw by Karela United in Dawu while Bechem United played out a goalless stalemate with AshantiGold. Matchday 2 of the NC Special Cup continues on Thursday. 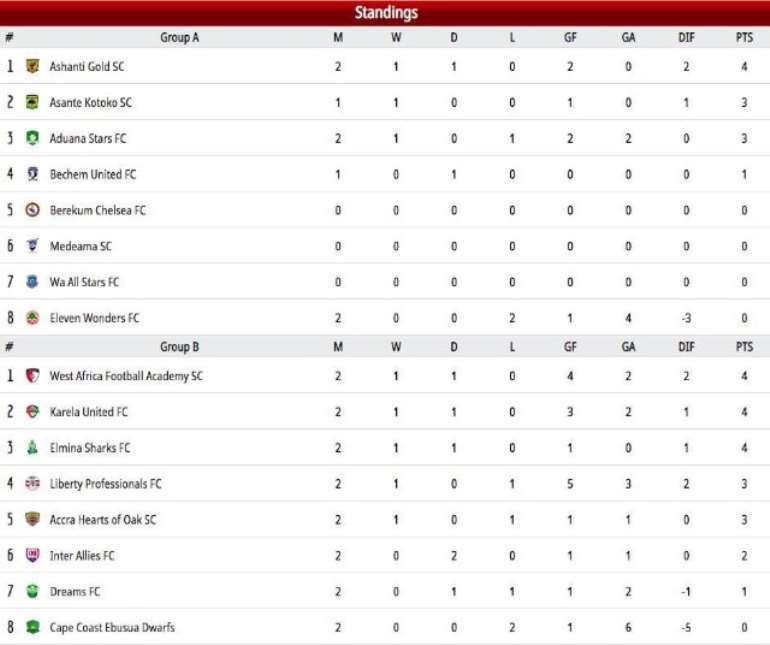 Medeama host Asante Kotoko in Tarkwa and Stallions FC face off with Berekum Chelsea.